Interested in knowing why the bomba... Ay que rica es? Interested in knowing why the bomba… Ay que rica es? La bomba, ay que rica es. Me sube el ritmo por los pies. ‘pa que bailes bomba, bomba puertorriqueña. The story of “Ay que rica es” goes back to the 1940s and 1950s when bomba and plena, two Puerto Rican native musical rhythms, were associated with poor people from the suburbs, mostly black communities. During that time, César Concepción, a Puerto Rican composer, composed a series of plena songs alluding to different towns in the island. He used a “big band” style in his compositions, making the plena music sound more “white” so that it could enter into the white-society music halls. One of the former members of the César Concepción band started his own band, Orquesta la Panamericana. 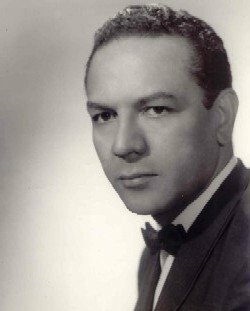 His name was Lito Peña, one of the greatest Puerto Rican composers of all times. He composed bomba and plena songs that retained their original sounds, thus reaffirming national identity. This is how “Ay que rica es” came to life. This composition by Peña was interpreted with great success by Ruth Fernandez, a popular singer known as “The Soul of Puerto Rico Turned Song”. Ruth was the first successful Afro-Puerto Rican female singer, and as such, she broke color barriers and stereotypes. She was contracted once to perform at a benefit for the American Red Cross in the Condado Vanderbilt Hotel. The director of the orchestra told her that, according to the hotel’s rules, she had to enter through the kitchen door like all other black musicians. Ruth however, did not follow the instructions and entered through the main entrance, driven by a chauffeur on a Packard automobile. 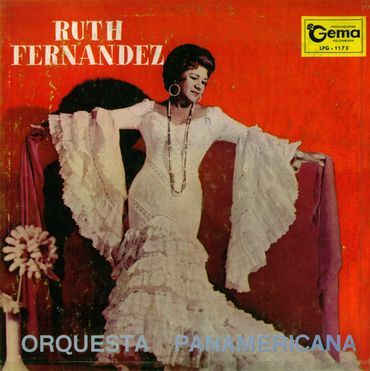 Ruth Fernánez had a long standing musical partnership with Lito Peña; she recorded two albums with his Orquesta Panamericana, and he wrote and arranged many of her most famous songs. The “(La Bomba) ¡Ay, qué rica es!” became a Puerto Rican folk standard, specially in the Christmas season, as part of the parranda tradition. If you have not been to a bomba session before, check this complete description of a bomba session within a parranda. This page contains an English translation of the lyrics sung during a Bomba session.